Here are 16 of our favorites who are ready to craft everything from a ballgown to a timepiece just for you. Prices: Suits start at $1,695, shirts $195 to $450. The story: For 38 years, Pockets Menswear has fulfilled its mission to help men “dress better than they have to.” Zegna and Pockets’ private line, Tasca (which means “pocket” in Italian), are the go-to sources for made-to-measure suits at this prestigious Highland Park Village boutique. 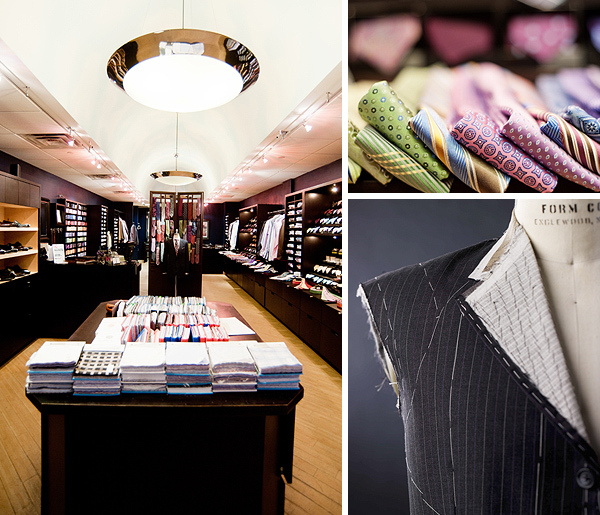 An expert sales staff and on-site master tailors will help each client through the many options available in creating the perfect suit in style, fabric, and fit for his lifestyle. While the store specializes in luxury Italian brands, one of its custom shirt partners is Hamilton, a family-run Houston-based company producing fine hand-cut shirts since 1883. 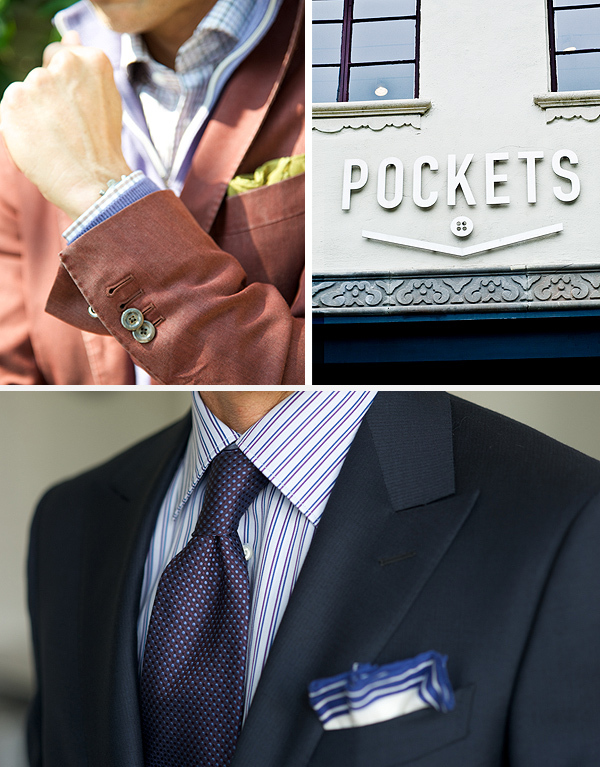 Pockets also offers plenty of elegant noncustom clothing, accessories, and luggage, ensuring its gentlemen clients have the necessary arsenal for dressing well. Prices: Cocktail dresses start at $1,200, wedding gowns from $2,500. The story: Khanh Nguyen’s artful lace and tulle creations look like the dresses you’ve swooned over on the pages of major fashion magazines, so insiders weren’t surprised when chic boutique Forty Five Ten picked up her ready-to-wear line last year. But Khanh Nguyen’s first love is her custom design business headquartered at her Flower Mound studio. After the client’s first consultation, Nguyen researches for several weeks before drawing sketches of three to five potential dresses. She then works with the client to make design modifications, and, over the course of up to seven fittings, the silhouette, fit, and final details are meticulously constructed and perfected. Creative time for evening dresses may be three months, and wedding dresses often require five months. nhakhanh.com. The story: The fashion reps at Q will serve you a complimentary Scotch while you’re selecting the perfect pinstripe for your new “signature” suit ($2,295) or getting fitted for a pair of Di Bianco custom shoes ($895). Known for its intimate atmosphere, carefully tailored garments, and seemingly endless array of fabrics, Q can do classic, if that’s what you’re after. But unconventional isn’t beyond their ken either. Flaming Lips frontman Wayne Coyne has been known to order some of his jazzier stage ensembles from this Dallas-based custom house. Q’s bespoke suits start at $1,195 and, at that price point, are tailored in Hong Kong. For an Italian job, involving at least 30 hours of handwork, the price jumps to $2,295. Fabrics come from some of the finest mills in Europe—Zegna, Dormeuil, Scabal. And if a vicuña sports coat is what you crave, the folks at Q will be happy to set you up with one (for about $10,000). The story: Patti Flowers’ design philosophy is as elegant as her work. “The woman should be the focal point,” she says, “not the dress.” Go to her with an event—a wedding, charity ball, or cocktail party—and the former in-house designer at Stanley Korshak’s Bridal Salon will start sketching not just the perfect dress for the occasion, but the perfect dress for you. Inspiration, she says, comes to her from everywhere. When a client told her that she was getting married on a beach at Captiva, Flowers came up with a diaphanous blue chiffon over white charmeuse creation to complement the seaside surroundings. But whether you’re getting ready to take that once-in-a-lifetime walk down the aisle or just want to stun the room at your next evening out, Flowers and her team attend personally to every detail of your dress, from French lace to final fitting. Prices: Custom dresses start at $1,200. The story: Tish Cox grew up sewing garments for herself, but she put her hobby aside for years as she raised her children. Two years ago, a friend begged her to make an outfit to wear to an event honoring Diane von Furstenberg, and Cox reluctantly retrieved her sewing machine from storage. The dress caught the eye of Vogue editor André Leon Talley and designer Zac Posen, who called Cox’s friend “the most fashionably dressed person at the party.” This spurred Cox to offer custom dressmaking by appointment and create her own line of day-to-night dresses (both use fine fabrics sourced mostly from Europe), which is now carried at 10 stores across the country. Prices: Villalba finds fabrics to fit each client’s budget. 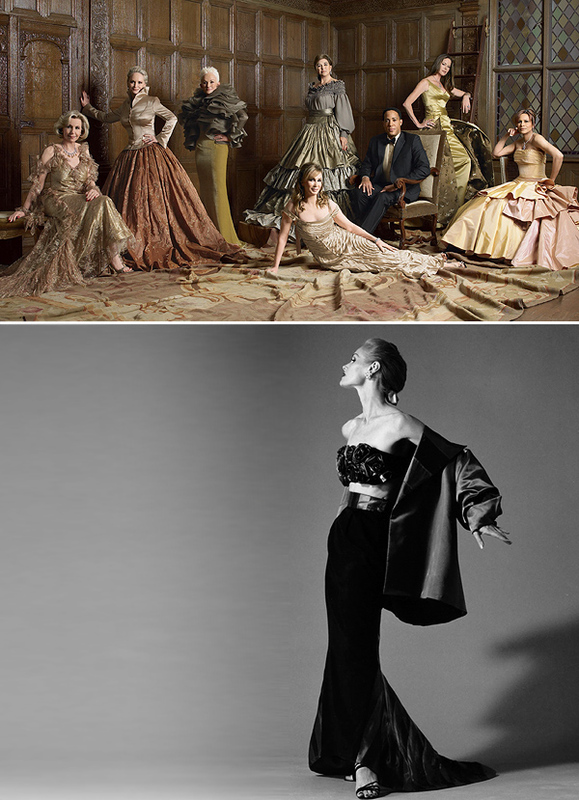 Couture-level dresses start at $1,500, while creations requiring designer-level fabrics can range from $500 to $1,500. The story: Nicolas Villalba’s sense of fun is evident in his designs. Need an imaginative costume for Mardi Gras or a masquerade ball? He can make it, including the mask. Philanthropist Linda Ivy owned the red carpet opening night of the Dallas Opera in Villalba’s stained-glass-inspired gown and cape designed to reflect The Magic Flute. He can also do more casual and more subdued, such as a beach wedding bridal party in blue silk slip dresses and their groomsmen counterparts in linen seersucker suits. He’ll fix fashion emergencies at his Design District studio and can even make linens for your home. The story: Over the last five years, Hil Davis and Veeral Rathod, co-founders of J. Hilburn, have raised a veritable army of style advisers, each one eager to “curate” your wardrobe. They come to you, get to know your style, and asses your accoutrement needs. Shirts are what this custom clothier started with and is still best known for. 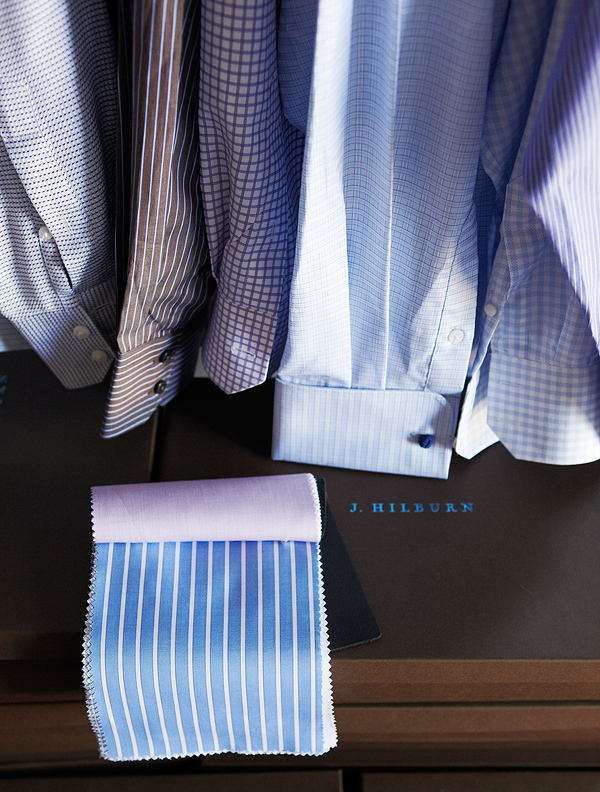 Choose from $89 Egyptian cotton shirts, finished in Italy, to 200s Sea Island cotton for $375. Clients can build their ideal shirt online, choosing from 20 collars, 15 cuff styles, and five kinds of pocket, among other options. If a custom leisure shirt (complete with buttons or snaps) is more your style, or maybe something with a safari flair (epaulets and all), J. Hilburn has you covered. New this spring: unlined sports jackets ($575 to $675), light enough for those miserably hot dog days in Dallas. Prices: Design services for a dress start at $500, which does not include the cost of the fabric. The story: Designer Jemal Mizan bought this high-end fabric boutique from couturier Richard Brooks a little more than five years ago and has been dressing Dallas high society ever since. Annette, D’Andra, and Dee Simmons are a few of his many clients, some of whom commission a dress a week, while others just go in once for a memorable mother-of-the-bride sheath. Or Mizan and his team can create the attire for an entire wedding party. In addition to its legendary design services, this Preston Center store, established in 1970, has long been a premier source of fine evening and bridal fabrics, lace, silk, linens, cottons, and wool, as well as ribbons, buttons, and trimmings.